Six Army acquisition professionals were deemed “pre-qualified” for chief developmental tester key leadership positions (KLPs) during the December DOD Joint KLP Test and Evaluation Qualification Board. Learn more about how the Army is identifying KLPs. Check out the new enhancements to CAMP that make it easier to map your acquisition goals and objectives. 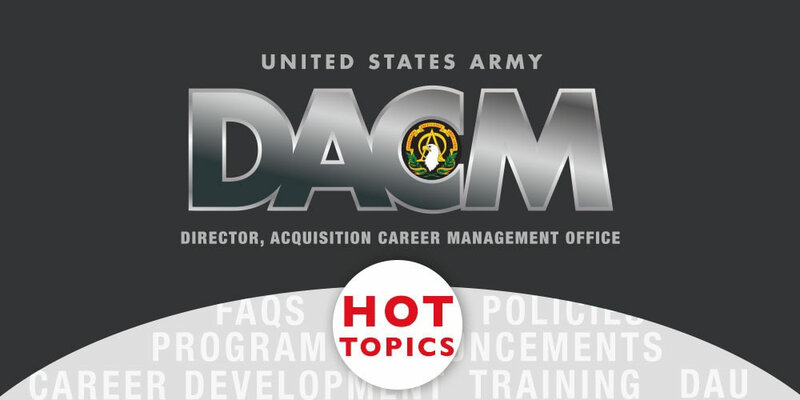 Click on the News section for links to onboarding resources, individual development plan updates, and DACM Office acquisition career models. 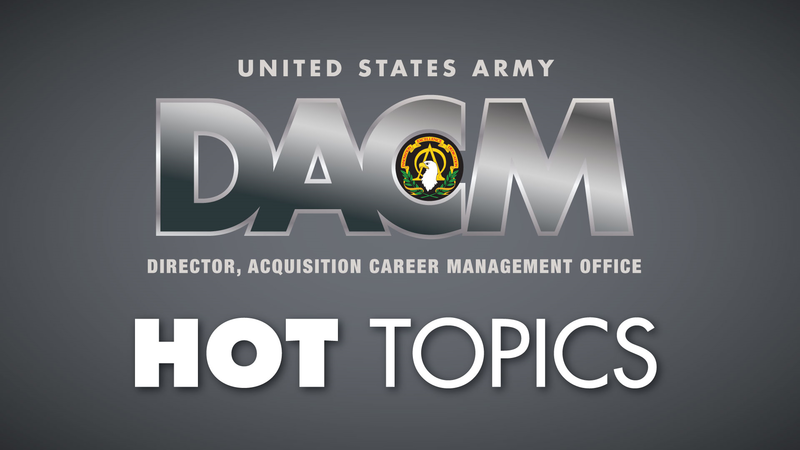 Attention international acquisition professionals: DAU is offering ACQ 380 (International Management Course), providing Level III training for workforce members in positions coded for international acquisition. The pilot session is scheduled for May 8-12, 2017, at the DAU Capital/Northeast regional campus at Fort Belvoir, Virginia. Apply through AITAS/ATRRS. Defense Acquisition University Senior Service College Fellowship (SSCF) program is open through March 23, 2017 for GS-14/15 or broadband equivalents. The 10-month leadership and educational program is offered by DAU at Huntsville, Alabama; Warren, Michigan; and Aberdeen, Maryland. The purpose of the program is to provide leadership and acquisition training to prepare senior civilians for senior leadership roles, including product and project manager and program executive officer. Product and Project Director selectees will be released this week.